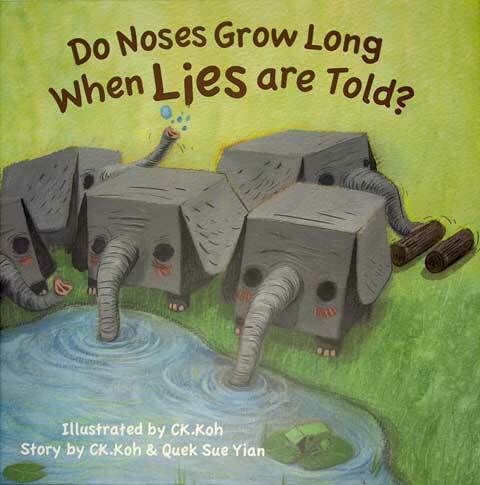 Malaysian artist C. K. Koh has created two picture books to date – Do Noses Grow Long When Lies are Told? 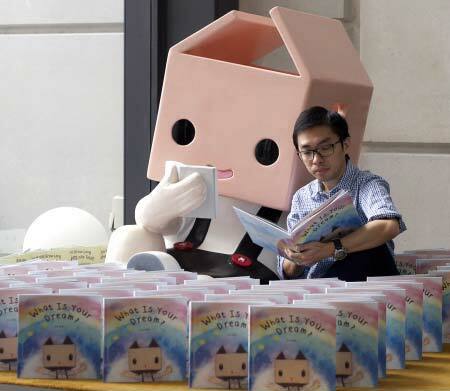 (co-written with author Quek Sue Yian), and What Is Your Dream? In 2012 he founded Magicbird Publishing with Sue Yian and together they have also set up the One for One book programme. C.K. lives in Kuala Lumpur. Welcome, CK. Can you tell us about your childhood? 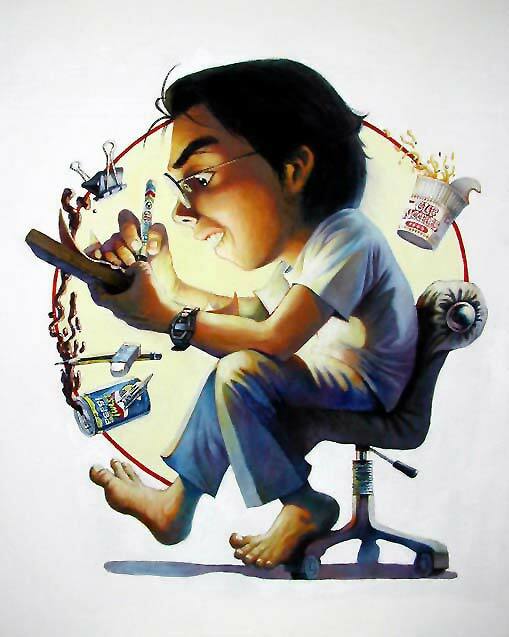 Did you always paint/draw? Did you enjoy reading – if so, what books did you read? My childhood life was spent in a ‘new village’ where 90% of the residents are Chinese and so am I. Drawing was never my strength and I spent most of my time watching TV and reading comics (Japanese manga and Hong Kong comics mostly). 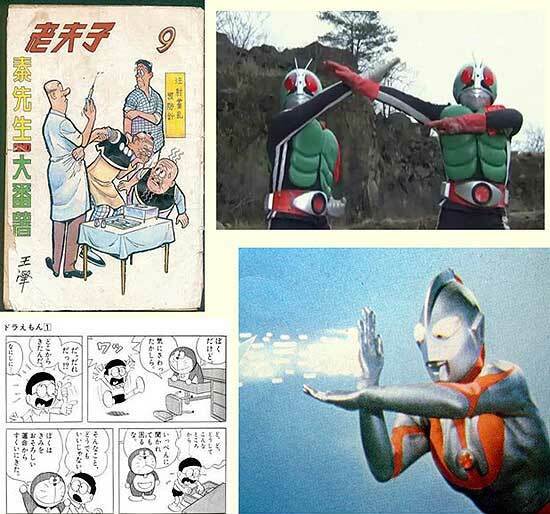 Kamen Riders, Ultraman, Doraemon, Atom Boy, Old Master Q etc. are my all-time favourites. You grew up in Malaysia and you studied Art and Visual Communication at university in the UK. How did this blend of East and West influence your art? 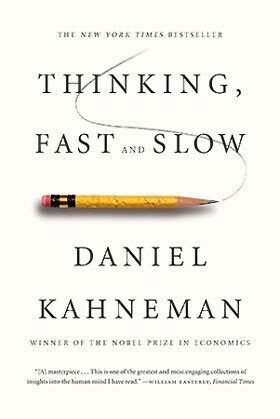 I was exposed to a typical Malaysian/Eastern style of education system in which most of the questions always come with a standard answer. We were used to imitating the great artists and always seeking further advancement, mostly as regards their technical aspects. After I studied in the UK, the Western pedagogy and learning culture totally transformed me and changed my way of seeing, thinking and evaluating my path as an artist. I became more open minded and gained a clearer vision of my career as an artist. 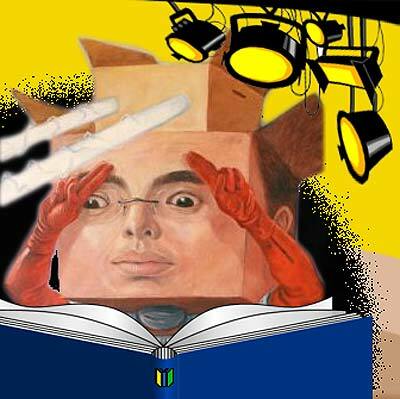 Where did your idea of using cardboard boxes for heads come from, and can you take us through their symbolism? During the time I studied in the UK, I experienced major anxiety due to the culture shock and everything I thought I was good at being totally rejected. I started to have doubt in my artwork, questions about my value as an artist. I felt like an abandoned puppy. At a certain point, I was expecting a parcel filled with goods and food my parents were having couriered to me all the way from Malaysia. In fact, the parcel carried my culture (food) and was filled with love from my parents. Ultimately, it carried all my hope; with the parcel, I felt less lonely. 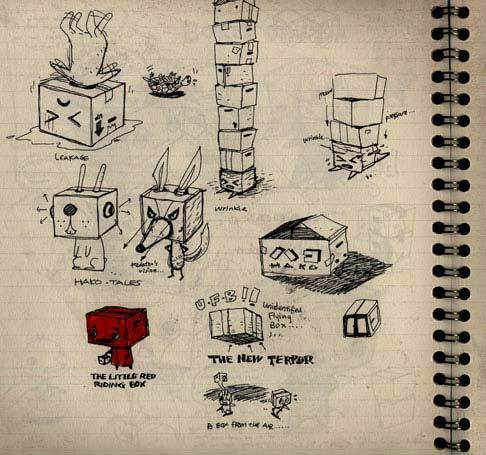 In the end, I created a box head character, sitting in a box just like an abandoned animal. The painting was called ‘What is My Value?’ and it has become the most important work in my life. I am the Box Head character sitting in the Box asking about his value. 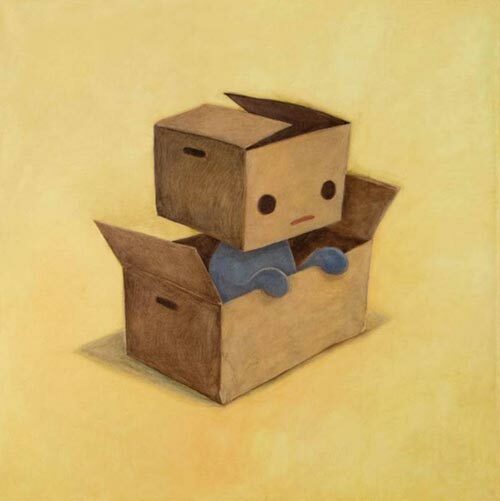 The box has granted him value and he is a box at the same time, so our value is actually live within us. The value of a box is determined by its content. The Box is the symbol of value, hope and possibility. What is the background to Magicbird Publishing, of which you are a partner? After completing my first book Do Noses Grow Long When Lies are Told? in 2010, Sue Yian (my co-writer) and I were trying so hard to get it published. The publisher who initially agreed to publish the book had decided to put the project on hold until they could find a sponsor. They had never published a picture book before: hence they were taking it very cautiously and trying not to invest too much in this project. After two years of waiting, everything just went dead quiet; and finally Sue Yian said she couldn’t wait forever, so why didn’t we publish it ourselves? That’s how we started Magicbird Publishing. 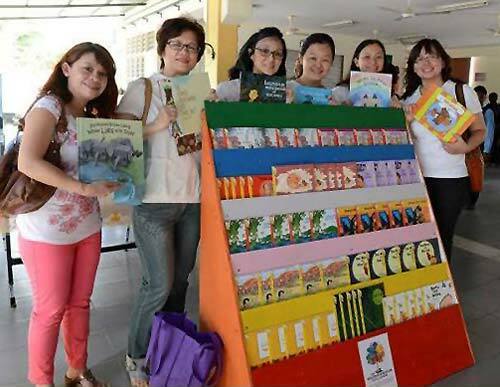 We share the same vision: we know the importance of children’s books, and we believe it will bring about huge changes for our society if we can promote children’s book reading in Malaysia, especially among those poor children who might not even have the chance to read a proper children’s book. Hence, we decided to position Magicbird Publishing as an independent non-profit children’s content creator whose primary focus is to get quality books to under-served children. Do Noses Grow Long When Lies are Told? was published in 2012. Please tell us about it: how did the story/illustrations originate and what was it like collaborating on the narrative? Having done two solo exhibitions of my box head character, I wanted to experiment with a new platform to further expand my character. I chose the children’s picture book, which had also been my thesis project back in the UK. Another reason that drove me to do it was the birth of my son, as I wanted to draw something for him. That was 2009. I had an idea to draw a book that would give the reader’s mind a twist. But I am not a good writer and I needed someone to help me polish the text. Through a gallery owner, I met Sue Yian (she is one of my art collectors) and she was willing to help me. We had our first meeting in a café – we discussed and brainstormed, and a lot of wonderful ideas popped up. Then I worked on the sketches, trying to link all the ideas together so that they flowed nicely, and Sue helped by refining the text to fit to the illustration sequence. It was a wonderful collaboration and we both learned a lot from each other, especially since we were both rookies in children’s books. 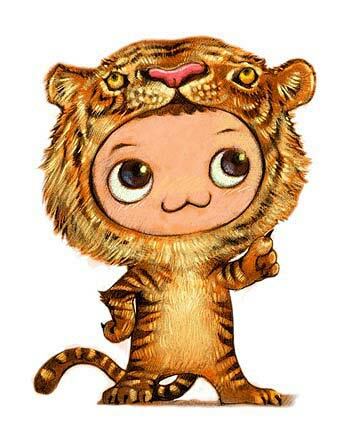 Can you take us through your creative process for the illustrations? My works are mostly created in mixed media. I use watercolour over the initial pencil sketch to create the background. Then I will work on the detail by using gouache paint and enhance fine detail with colour pencil. I then repeat the process until it reaches the result I want. Which is your favourite illustration from the book, and why? 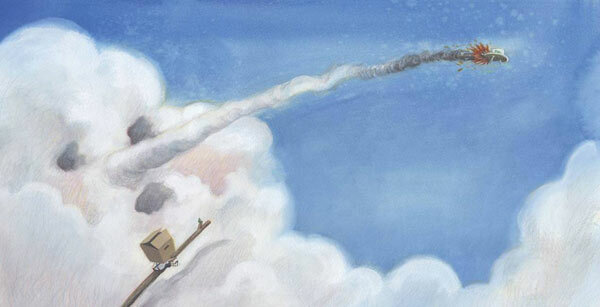 My favourite page is the cloud with a long nose because a spacecraft speeds through it. It is hard to say why I like that so much but it’s one of the first few images I had in my mind when I started writing the story. Have you shared the book with young children? There are a lot of ‘lies’ as well as a lot of irony in the story – not least the elephants on the cover. How do children react to that? Children give a great response when we read the book to them. They find Box Boy looks so peculiar yet funny. Children are less complicated and might not always be able to get the bits of irony in the story; however, they enjoy the story very much and are able to grab the central idea of the book. Personally, I also love parents’ reaction to the irony as those aspects of the plot are actually targeting adults rather than children. 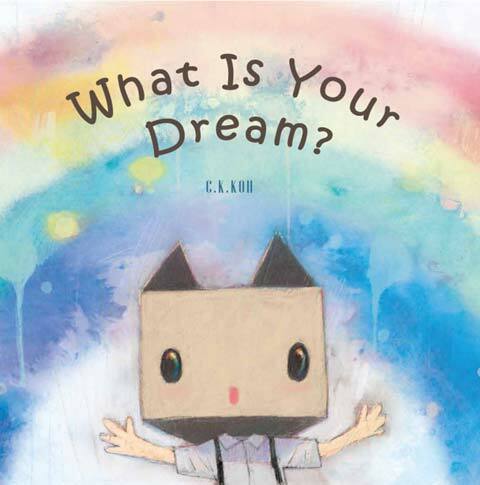 Your second picture book came out last year: What Is Your Dream? also features Box Boy. What was your inspiration for this story, and what came first – the illustrations or the story? Adults always like to ask children, ‘What is your dream?’, ‘What is your ambition?’, ‘Who you wanna be when you grow up?’ etc. ‘I want to be a doctor.’, ‘I want to be a lawyer.’, ‘I want to be an engineer.’, etc. are the kinds of answer that will please the parents. What if a kid says, ‘I want to be a butcher.’ or ‘I want to be a janitor.’? I bet their parents would freak out. I just wonder what is wrong with these dreams? So I wrote this story to encourage children to dare to dream and say it out loud, no matter if the dream is big or small, specific or abstract. As an adult, we should listen to their little voices, respect and encourage them to work towards their dreams. For this book, the story came before the illustrations. You have created a beautiful video with your young son to promote the book. How do you think fatherhood has influenced you as an artist and a creator of children’s books – and how has being an artist and a picture-book creator influenced your relationship with your son? My son has given me a lot of inspiration in all my creativity. Through him, I’ve learnt to view the world from a child’s perspective. Children are very creative and have very good instincts. As an artist, I am able to observe and pick up all those little moments and details in my son’s actions. I am amazed by him all the time. Do Noses Grow When Lies are Told? and What Is Your Dream? are part of the ‘One for One’ book programme run by Magicbird Publishing – what is that? One for One is a book donation programme that is based on our vision that all children should have access to good quality books regardless of their social/economic background. We co-ordinate local book publishers and distributors to enable some of their titles to be sold on a One for One basis. This means that for every book bought, another is given free to an under-served child or community that has strong English literacy programmes. 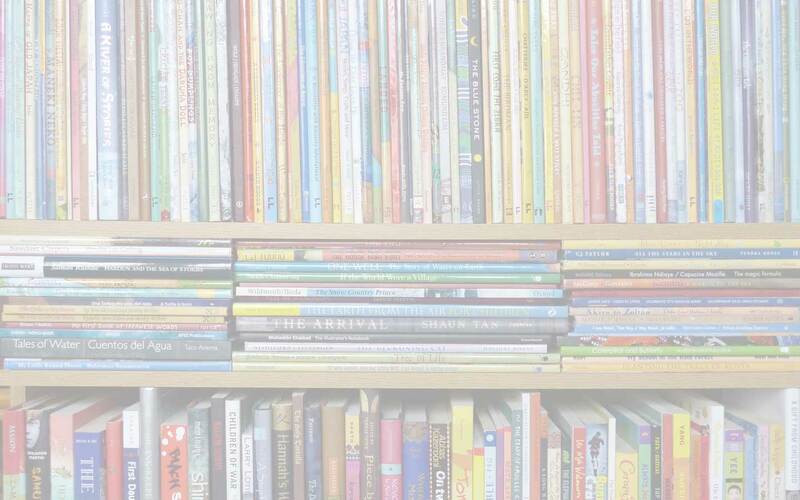 The books sold under the One for One scheme include those from our own publishing company, Magicbird Publishing, which produces children’s picture books with thought-provoking themes. What are some of the other books available through One for One? All five books published by Magicbird Publishing so far are included in the One for One scheme for their first print run. As well as Do Noses Grow Long When Lies are Told? and What is Your Dream?, these books are A Cake Reaching to the Sky, Who Am I? and The Werewolf and His Moon. And Kailash by Quek Sue Yan, illustrated by Khairul Azmir Shoib (Oyez!Books, 2012) and Ken Spillman and Chris Nixon’s popular Jake series, published by Scholastic Asia, are some of the other books included in the One for One scheme too. 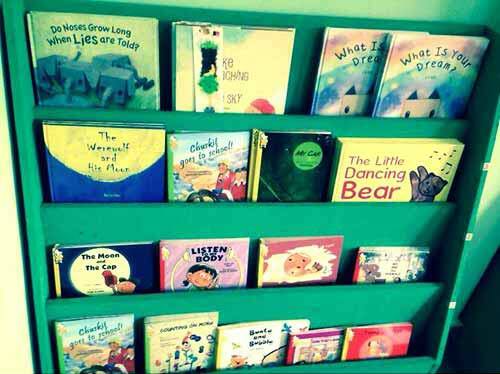 We also linked up with Indian publisher Pratham Books last year to distribute some of their books through Creative Commons Licensing. We have actually recently decided to change our approach from the ‘One for One’ scheme to ‘Building 100 Reading Spaces’ for subsequent print run and new books. The profit from sales will be used to set up reading spaces and for their operational costs, and to purchase books to put into them. This will help to provide more choices of titles for the readers/children who will be using the reading spaces. We will have a new website very soon. And what is the Wisdom Club? Are you involved in that? Wisdom Club is actually a volunteer-based program to foster a love for reading and independent thought. We go into schools and communities to conduct workshops, storytelling and all kinds of highly engaging activities that encourage children to embrace diverse thinking and creativity and to learn with fun. It is a free space where all kinds of questions can be raised and there are NO RIGHT OR WRONG answers. There are only possibilities and the aim is to engross the children in the process of discoverability. 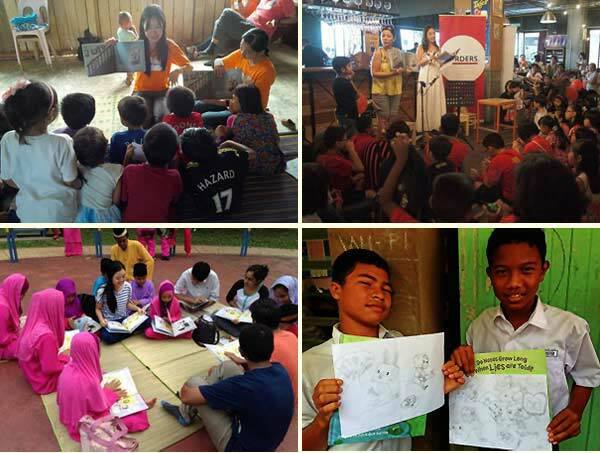 I’ve conducted some drawing workshops and a book-reading session with children for my What is Your Dream?. I’m not highly involved in it but will provide support during my free time. What are the long-term goals of Magic Bird Publishing? 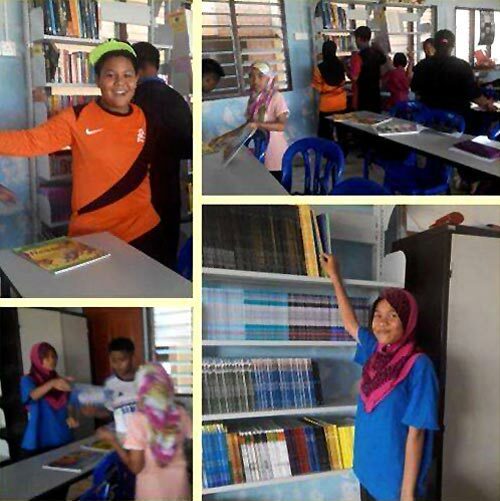 To produce more books, donate more books and develop our latest project, our Building 100 Reading Spaces challenge, for which we collect donated books and build a small/mini library in some remote community with limited reading resources. Do you have any more picture books in the pipe-line? Box Boy’s adventures continue! The third book is currently in production, and I’m looking forward to it being published mid-2015; and the fourth book is still in the story-development stage. Thank you, CK – we look forward to seeing Box Boy’s third and fourth adventures and wish you and Magic Bird Publishing all success with your many projects. Before you go, just a few quick questions under the MWD Spotlight…. I really can’t recall the first book I read but my first memory of reading a book by myself is Old Master Q comic. It’s a Hong Kong comic strip and full of Eastern culture and values. I always prefer the paper book. The texture of the paper, the size (especially for picture books), the weight, the temperature, and the physical flipping sensation can never be replaced by e-books. I would choose Stephen King. I have always loved horror stories and Stephen King’s stories are often translated into movies. If he wrote a series of short horror tales for children. I would die to illustrate it! 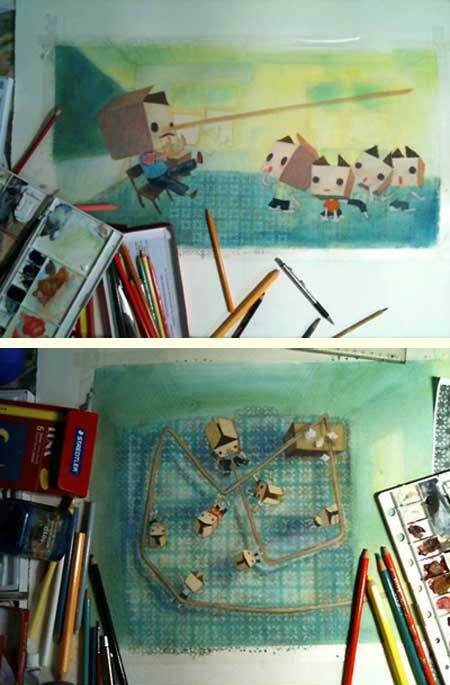 As for illustrators, I would choose Sara Fanelli. Her collage style is remarkable and it would be wonderful to collaborate with her. A cup of warm coffee. Travel to more places and get more inspiration. I really can’t find anything about myself that could surprise people. 100 Reading Spaces (Malaysia), C.K.Koh, Children's and YA Books from Malaysia, CK Koh, Daniel Kahneman, Do Noses Grow Long When Lies Are Told?, Ken Spillman, Khairul Azmir Shoib, Magicbird Publishing (Malaysia), MWD interview, One for One Books (Malaysia), Pratham Books, Quek Sue Yian, Thinking Fast and Slow, What Is Your Dream?, Wisdom Clubs (Malaysia). Bookmark. Find C.K. on Behance, Useum and Facebook. Find out more about Magicbird Publishing and One for One Books. View the Magicbird World YouTube channel.